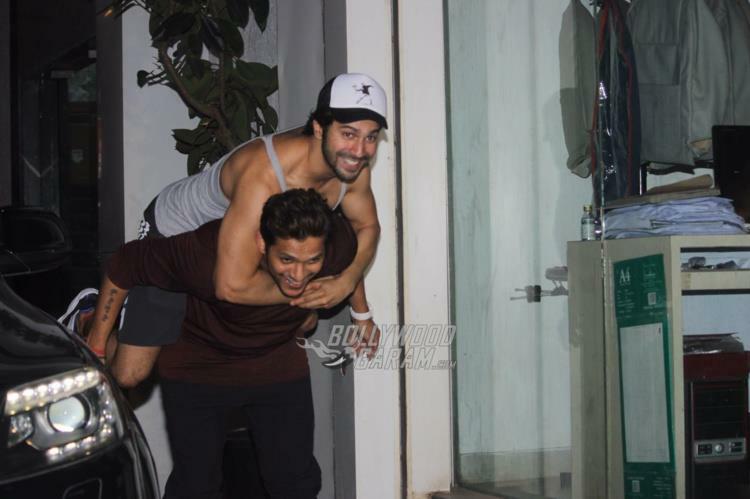 The Badlapur actor who is awaiting his film, Judwaa 2’s release was caught in a goofy moment with his trainer right outside the gym. 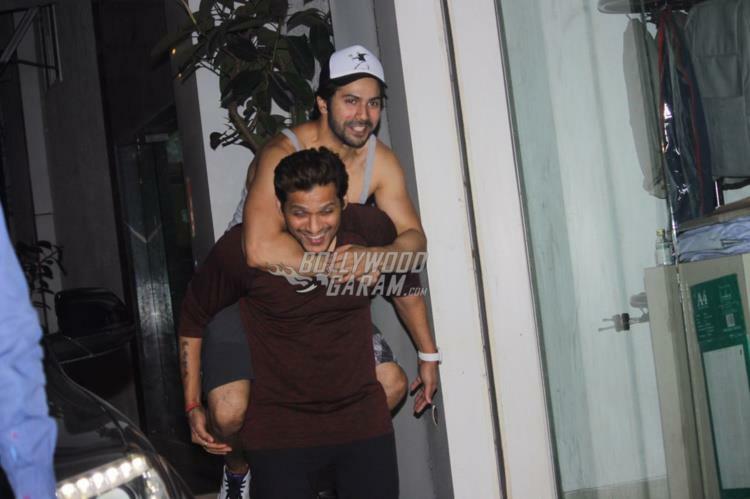 Varun Dhawan is riding high on success and was last seen in the blockbuster film Badrinath Ki Dulhania. 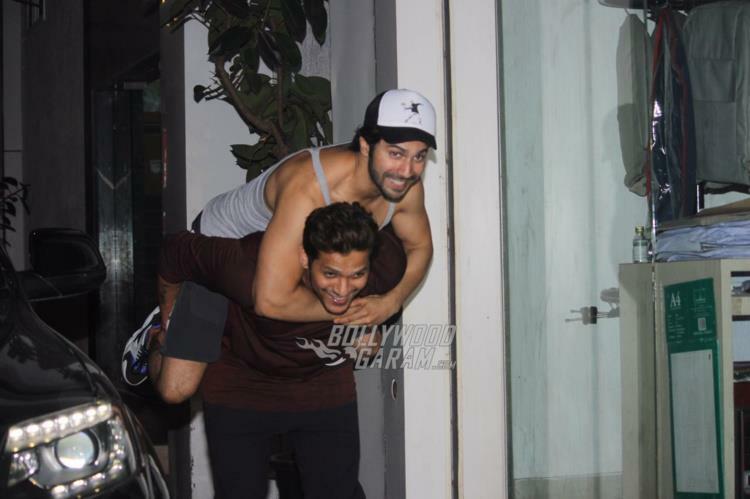 The actor was snapped outside the gym having a goofy moment with his trainer Prashant Sawant in Mumbai on September 8, 2017. 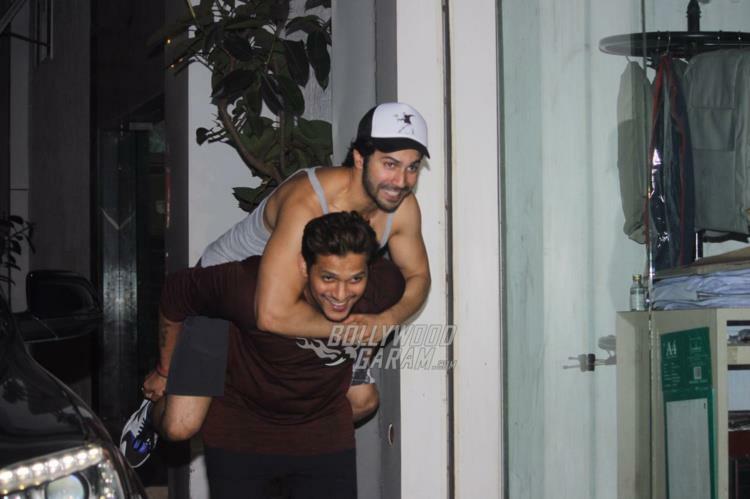 Varun seemed in a playful mood as he was seen riding on his trainer’s back. 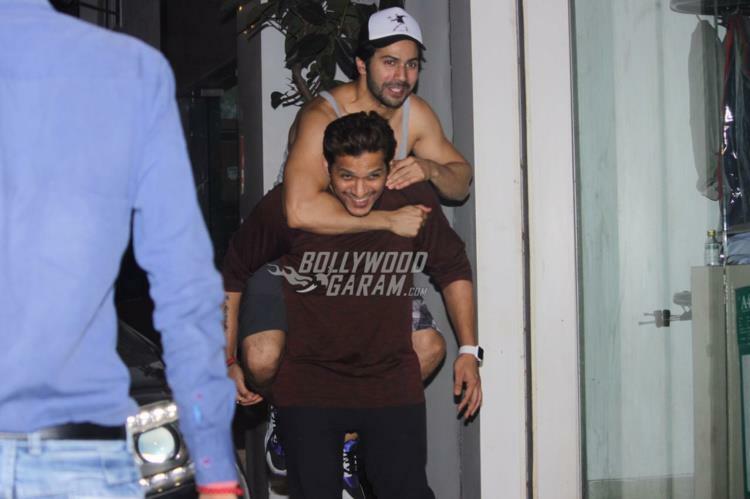 The Dishoom actor was seen in a grey vest and dark grey shorts. Varun and even the audience is excited about his upcoming film Judwaa 2 which is the remake of the blockbuster film Judwaa that starred Salman Khan in the lead role. The film, Judwaa 2 also stars Jacqueline Fernandez and Taapsee Pannu while Varun will be seen playing a double role. Judwaa 2 is directed by David Dhawan and produced by Sajid Nadiadwala and is ready to be released in theatres on September 29, 2017. 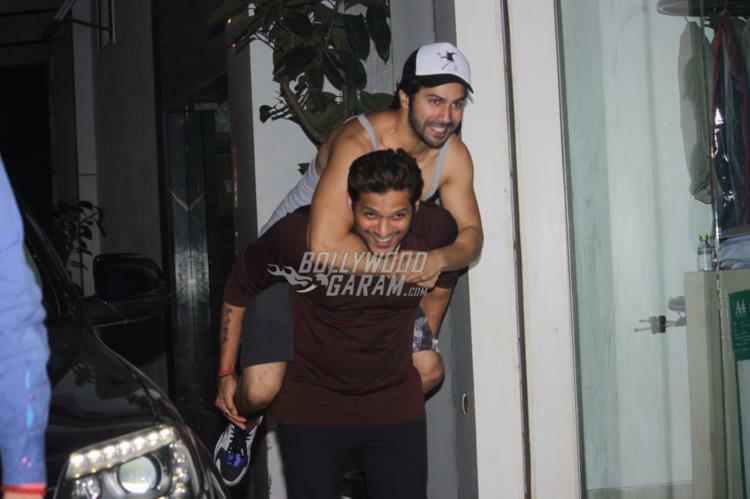 Exclusive photos of Varun Dhawan with his trainer! 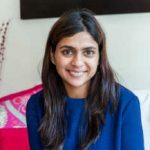 Previous articleSecret Superstar new song Meri Pyaari Ammi out now!